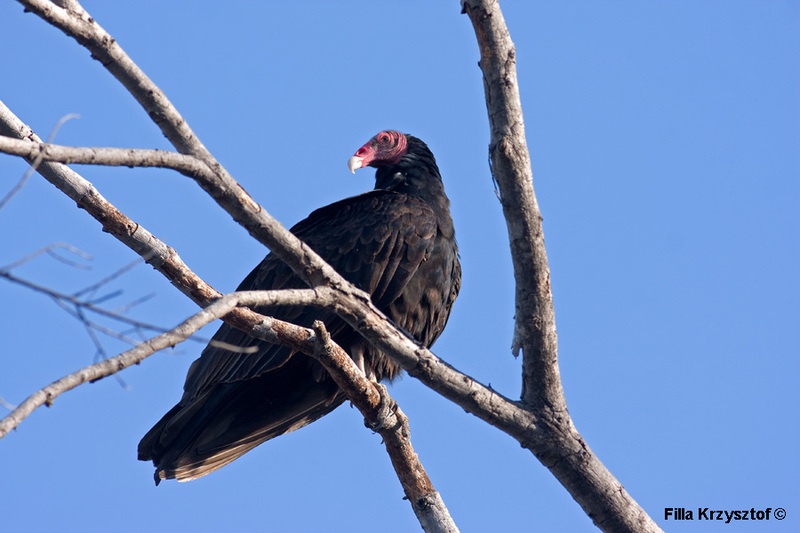 The turkey vulture (Cathartes aura) is widely spread across South America and partly through the North America. It is a scavenger bird looking for carrion. What is unique about the bird is that they have a great sense of smell. They can detect decaying flesh while soaring over the forest.